Please sign our petition to help us stop the government eroding our human rights. Right now the government is pushing a new law through Parliament that will make it easier to deprive someone of their liberty if they are judged unable to make decisions for themselves. It could mean people are forced to live in care homes because it’s cheaper and easier for the local council even though it’s not what they want or need. 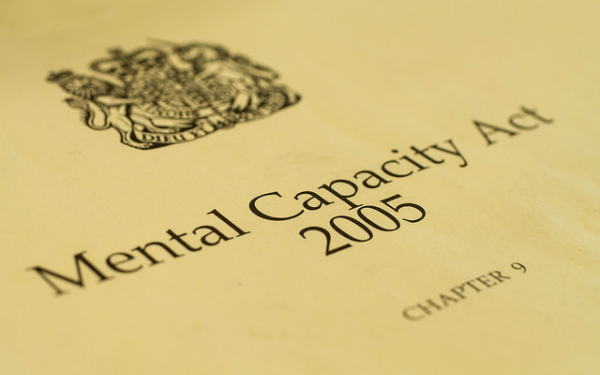 In July 2018 the government introduced The Mental Capacity (Amendment) Bill in Parliament. The bill will amend the Mental Capacity Act 2005 (MCA). It will affect the human rights of over 300,000 citizens in England and Wales with conditions including dementia, learning difficulties, autism and brain injuries, as well as their families and supporters. The bill introduces a new scheme, the Liberty Protection Safeguards (LPS) to replace the heavily criticised deprivation of liberty safeguards (DoLS). We recognise the existing system needs to change, but not in the way proposed by the bill. We are very much concerned that the bill weakens the existing safeguards that people have and does nothing to ensure support and care is provided in a way that promotes and maximises Disabled people’s liberty. In fact the bill will make it easier to deprive Disabled people of their liberty. We are also concerned that there has been very little consultation with Disabled people who will be affected by the bill. We are working together with People First Self Advocacy, other Deaf and Disabled People’s (DDPOs) Organisations, lawyers and academics to ensure the bill is changed. We want as many DDPOs and self-advocacy groups as possible to get involved in this work. Please let Inclusion London know if you are interested and we’ll keep you in the loop.